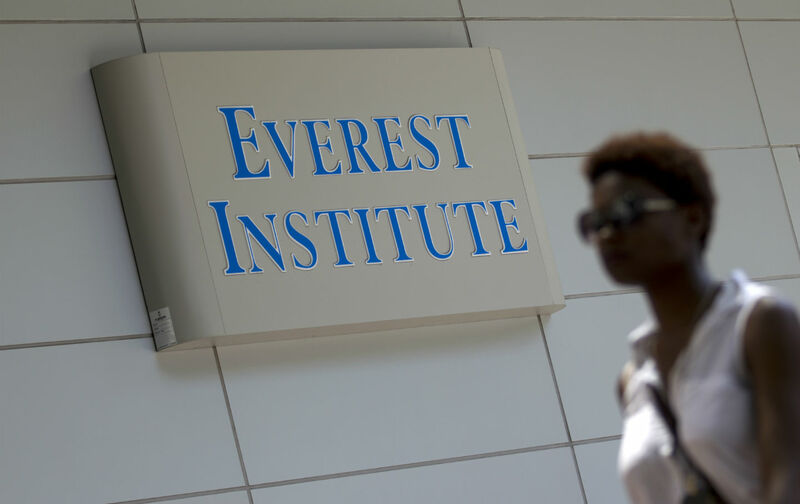 Will Obama Cancel the Loan Debt of For-Profit College Victims? It may be their last chance for justice before Trump takes over. In the twilight of his final term, President Obama is expected to issue several pardons as a final gesture of mercy. At the same time, though, tens of thousands of innocent people may lose their last hope of reprieve, remaining trapped in debt—and their only crime was pursuing an education. It’s perversely fitting that Obama’s successor is a real-estate billionaire who has himself been scandalized by his own for-profit education venture—a pre-packaged “investment” program, notorious for scamming naive aspiring entrepreneurs. Donald Trump’s election marks a tragic coda to Pamela Hunt’s debt saga. She tried to pursue a criminal-justice degree and fell into a junk program at the for-profit college chain Corinthian. Today the single mother of six, mired in more than $50,000 in education debt, has watched her career aspirations dissolve while suffering financial ruin, homelessness, and medical crisis. She made one final appeal this month for a bail out of debt purgatory. If his past business ventures are any indication, Trump may run the White House as for-profit colleges run their programs: preying on people’s naïveté to raid public coffers and exploit their dreams. Any remaining prospects for relief may vanish under Trump’s appointee for education chief, Betsy DeVos, a longtime friend of the Wall Street–philanthropic world that has helped shape the finance-driven higher education infrastructure, girded by swelling costs and broken financial policies. Though it has not overhauled the student debt system, the Obama administration has waged regulatory crackdowns on proprietary schools, driving some toward bankruptcy. But the Department of Education has still failed to make whole many debt-crushed victims. The Debt Collective, the Occupy-inspired movement that’s leading an unprecedented nationwide debt strike movement with Hunt and other student-activists, has focused on expanding Defense to Repayment, an obscure policy that can be invoked to fast-track debt cancellation for students due to their schools’ financial fraud or failure. Although the activists have pressed the administration for a more transparent process, and even constructed a web-based system for processing petitions, they say relief has been outrageously delayed for months. The collective stated in an open letter to the Obama administration that “fewer than 1 percent” of Corinthian’s victims had seen loan relief. The collective estimates that, as of late October, even after an additional 12,000 Corinthian students were deemed eligible for relief, the loan-discharge process had inexplicably stalled, and “at least 80,000 Corinthian students remain in collections despite being eligible for discharges.” Meanwhile, another for-profit education giant, ITT, also went under this year, prompting some 800 former students to strike on their debts. Though the impact of their debt rebellion is symbolic, they represent legions of other students who are suffering with heavy debts excluded from nearly all forms of legal relief, abandoned by their now-imploded former institutions, and neglected by education officials. Activists fear the incoming pro-business administration will move to dismantle reforms enacted under the current administration. The Department of Education’s efforts to hold schools like Corinthian accountable, though modest, did help curb the industry’s most predatory practices. Corinthian filed for bankruptcy last year after getting slapped by the administration with a $30 million fine for about 1,000 incidents of advertising fraud, on top of a lawsuit by the Consumer Financial Protection Bureau. Meanwhile, federal regulators have also sued another for-profit chain, ITT, for exploiting students through predatory loans that defrauded the federal student-loan system. But within days of Trump’s election, the previously near-extinct college corporations saw their stock prices surge; markets seemed bullish on the revival of the McCollege industry under the administration of a kindred spirit from Wall Street. With Republicans controlling both Congress and the White House, conservatives might use the obscure Congressional Review mechanism to further slash and weaken the protections developed by the Education Department. Financial-justice advocates fear Trump might shred Obama’s newly enacted regulations on mandatory arbitration clauses in student-enrollment contracts, which have been sharply criticized for surreptitiously preempting defrauded students from taking future legal action. But DeVos might tilt the spectrum heavily rightward, with her hard-line push for privatization of public K-12 Education. Teacher unions warn that she may dramatically escalate a neoliberal education reform trend already in place under Obama: devolving funding, and introducing more corporate governance and standardization of schools, including increased commercialization of higher education. Debt Collective organizer Ann Larson says that the movement to democratize higher education will take longer than four years , but the Trump administration is perhaps a perfect bull’s-eye because it so perfectly embodies the moral bankruptcy fueling the student debt crisis. We have to build institutions and organizations that enable poor and working-class people to assert collective power…. Getting organized and using our collective leverage as debtors is even more important now that we see, from every cabinet pick, that we’ll be dealing with a regime that is actively opposed to the idea of public goods. Fittingly, Trump’s career, which began in the 1980s with his ascent as a real-estate icon of the Age of Excess, and has now propelled him to the seat of first “social-media president,” seems to follow the same crooked arc of neoliberalism that shaped the higher-education system over the last generation. And it bodes ill for people like Pam Hunt, whose educational lives have been similarly bookended by the ebbs and flows of Wall Street’s entanglement with—and perversion of—the college aspirations of working-class people who are struggling to cling to an ever-narrowing ladder of opportunity. The ideology of market capitalism is seeping into higher education the way it has distorted the regulatory infrastructure—twisting the college path into a rigged financial game, leaving communities intellectually and economically impoverished.